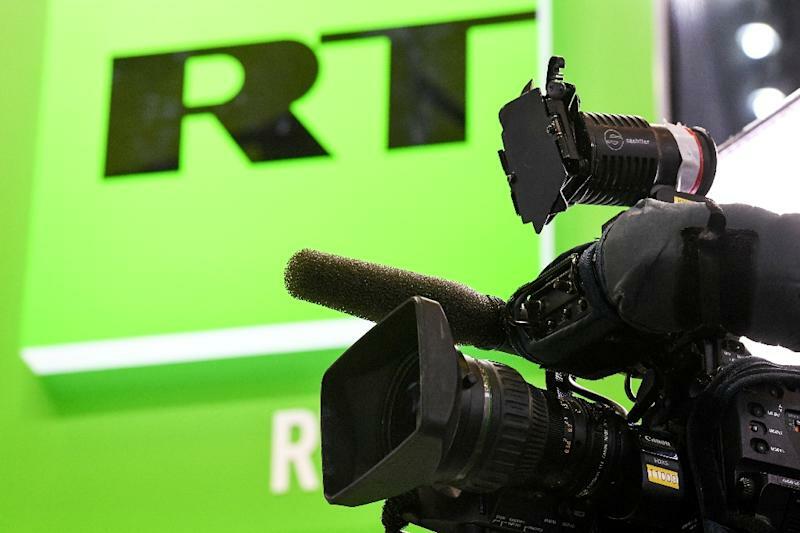 Moscow (AFP) - Facebook has blocked a popular page run by Russian state TV channel RT, the channel's editor said Monday, criticising the move as an attack on media rights. "We had a subsidiary project in English, In the Now. The project was wildly popular -- 2.5 billion views and four million subscribers on Facebook alone!" RT editor-in-chief Margarita Simonyan said on her Telegram social network account. She said a report aired by CNN about the project being financed by the Russian state led to "Facebook immediately blocking us! Without presenting any of the accusations." "We didn't violate any Facebook rules," Simonyan said. Facebook told AFP the move stemmed from an information policy on the origin of some content. "People connecting with Pages shouldn’t be misled about who’s behind them," Facebook said. "Just as we’ve stepped up our enforcement of coordinated inauthentic behavior and financially motivated spam over the past year, we’ll continue improving so people can get more information about the Pages they follow," it added. Simonyan said it should not be an issue that the page did not disclose its Russian funding to visitors. It was not possible to access the In the Now Facebook page on Monday. A YouTube channel describes the project as striving "to build a community of mindful media consumers around important, curious and purpose-driven content." Launched on YouTube in March 2014, it makes no mention of any affiliation with RT or Russia and reports over 2.8 million views. Facebook told AFP it was doing a phased roll-out of an update for Pages with large audiences to provide more information on which countries they are primarily managed from. "We’ll be reaching out to administators of these Pages to ask that they disclose this additional information and their affiliation with their parent company to get back on the platform," it said. Kremlin spokesman Dmitri Peskov said RT deserved a detailed explanation for the move and added that many large internet companies were used by governments as "a means of pressure on Russian media." The topics of the most recent RT videos include cleaning up the oceans, the yellow vest protests in France, the rise of atheism and Russian football hooligans. The EU-funded project EU vs Disinfo, a campaign to "respond to pro-Kremlin disinformation", has said In the Now was launched to attract younger audiences turned off by RT's political stories. It does this "by adding videos with high emotional and entertainment value" which are used as "bait" to "camouflage" the project's ties to Russia, EU vs Disinfo said. Last month, Facebook said it had removed over 500 pages originating in Russia for engaging in "coordinated inauthentic behaviour". Most of the removed accounts were found to be linked to employees of Sputnik, a state news agency launched in late 2014 that is also run by Simonyan. Facebook said at the time that the blocked pages created accounts "to mislead others about who they were and what they were doing".